Carryings On Up The Dale: A bionic wargamer but don't get the tv remotes mixed up! A bionic wargamer but don't get the tv remotes mixed up! On Sunday morning (tomorrow) at 7:30 a.m. 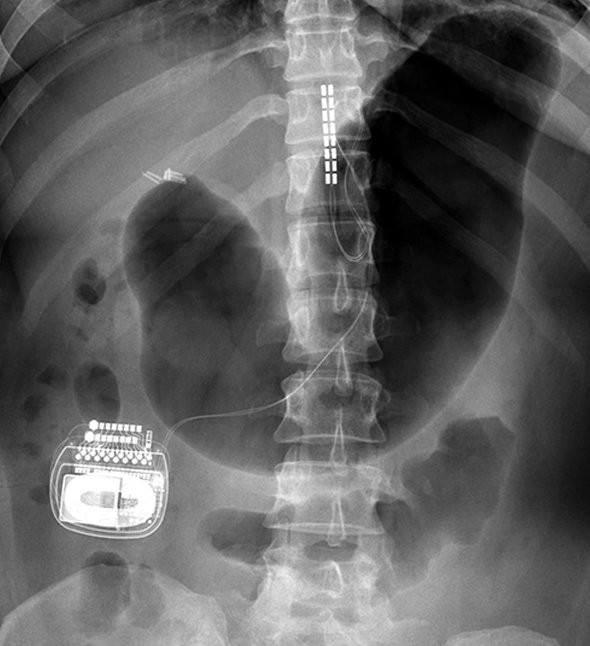 I have to report to James Cook Hospital in Smoggyland (Middlesbrough) for an interesting little procedure to attach an electronic stimulator to my spinal cord (at L5/L6 or thereabouts, and I hope they know exactly) with the aim of significantly reducing my leg and back nerve pain. It won't cure me but it will hopefully help manage the symptoms. I'm quite relaxed about the procedure (as I write this anyway) and have had to go through all sorts of physical and psychological assessments to judge my suitability for what is still an experimental trial. Its on the NHS but at around £20k a pop just for the hardware they have to sure I can cope with the implant in body and mind. They normally only use a local anaesthetic for this procedure, with a generous dose of sedation, as its best if the patient is conscious throughout. I'm fascinated in a ghoulish kind of way. Shall I take a book to read I wonder......? Amazing, good for you for getting on the program and thank goodness for the wonderful NHS. All the very best for tomorrow Colin. As Norm says and I will echo, God bless the NHS! Good luck, I am currently getting shoots in my back do to a few compressed disk and a hernia. I usually just chat with the docs and nurses when I sit there. 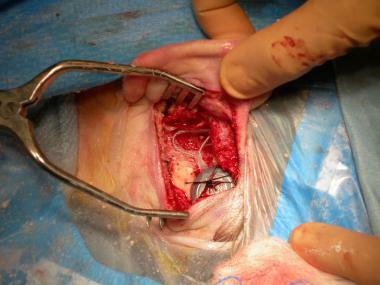 Of course your procedure is a little more complicated. "Shall I take a book to read I wonder......?" Nah.. take a selection of paints and few miniatures to paint... :o) I admire your stoicism.. i'd be scared sh*tless! I wish you the very best Colin, Perhaps listening to some "Spinal Tap" may (or may not) help. Or Frank Zappa's "Cheap Thrills"? Very best wishes Colin. Hope you get to normal asap and the procedure is a success. Best wishes and speedy recovery. Hope all goes well! All the best with everything to do with the op. Just noticed this post. Coming late the party, but still wish to send along best wishes for a successful procedure and a rapid recovery (and of course that the dingus provides the promised relief). Bit late to this but I trust all went well and that the time reading a book was not wasted.